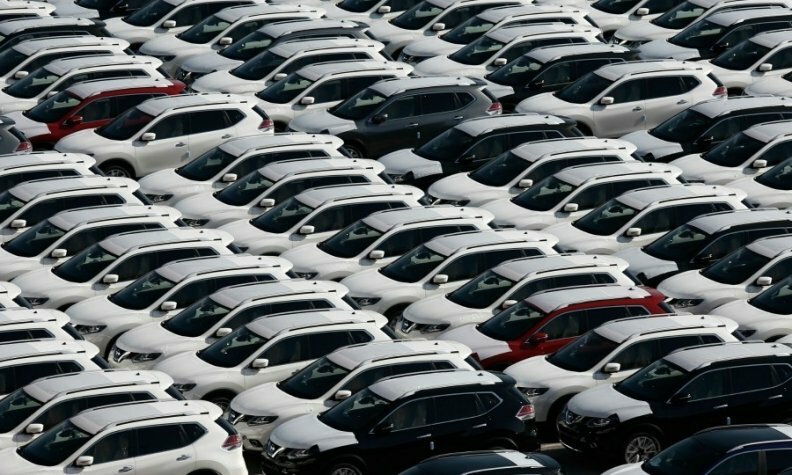 FRANKFURT -- German new-car registrations fell 8 percent in April as buyers turned away from diesel cars and fewer selling days hit showroom traffic. Most larger brands saw sales fall with the exception of Fiat, Dacia, Toyota and Seat. Registrations were 290,697 in a month that contained three fewer working days than April 2016, according to data from the Federal Motor Transport Authority (KBA). Adjusted for the fewer days, car sales would have risen 7 percent, an industry source told Reuters. Sales of diesel-powered vehicles slipped 19 percent as politicians debate imposing bans on diesel cars being driven in certain areas or refitting older engines with better emission controls to tackle pollution. The diesel share of the overall market shrank to 41 percent, the KBA said, noting that share for gasoline-powered cars was flat at 55.9 percent while electric vehicles posted strong gains from low base levels. Stuttgart, home to premium carmakers Porsche and Mercedes-Benz, has been discussing banning diesel cars from the city center, while ministers of Germany's regional governments are calling for older cars to be fitted with better emission controls. Germany's market leader Volkswagen Group saw sales all of its brands decline except Seat, which is benefiting from product launches such as the Ateca SUV. Seat's volume rose 3.1 percent. Registrations at the core VW brand, which has borne the brunt of the group's emissions scandal, declined 13 percent. Audi fell 10 percent, Porsche slipped 20 percent and Skoda dropped 8.6 percent. Among German premium brands, Mercedes-Benz sales fell 10 percent and BMW dropped 14 percent. Opel registrations were down 14 percent, while Ford sales slipped 6.8 percent. Winners for the month were Fiat, whose volume grew 25 percent, Dacia with a 21 percent rise and Toyota, whose registrations gained 12 percent. Nissan sales were down 19 percent, Hyundai registrations dropped 12 percent and Kia declined 8.8 percent. • Download PDF, above right, for April, 4-month sales by brand. Through April, German registrations are up 2.5 percent to 1.13 million, the KBA said. Germany's sales drop mirrored a 6 percent decline in France last month and a 5 percent drop in Italy. Spanish registrations rose by 1.1 percent.